In its next edition, the Colombian Chamber of Construction (Camacol) will try to overcome what has been achieved in the previous years of ExpoCAMACOL, its biennial exhibition. 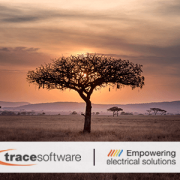 Trace Software International, the leading company in the design of electrical engineering solutions since 1987, confirms its assistance in the event. 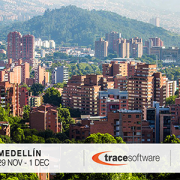 ExpoCAMACOL will take place from August 22nd to 25th in Medellín, Colombia, at the Plaza Mayor Exhibition and Convention Center. Every two years, the largest trade show for the construction industry in Latin America, brings together the entrepreneurs and the professionals to strengthen relationships, do business, exchange opinions and create synergies. ExpoCAMACOL is a gateway to opportunities. The figures of the last edition were in fact very positive: 450 exhibitors from 21 countries and 58,506 international visitors during the four days of the event. This year, the fair is expected to generate 250 M of US dollars in terms of business value. 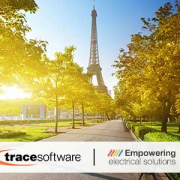 Trace Software International will showcase two state-of-the-art software solutions for the construction industry. These tools ensure an important enhancement of the performance in terms of time, quality and productivity. 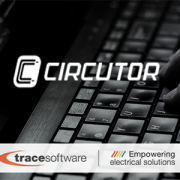 It is the first software in the world that perfectly integrates the electrical calculation in the BIM process. 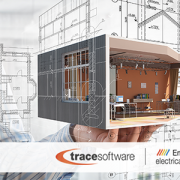 With elec calc™ BIM, the user can design, calculate and size the electrical installation in the digital model in IFC 4 format, generated by any 3D architecture software (Revit, ArchiCAD, SketchUp …). For REVIT users, the elec calc™ BIM plug-in optimizes collaboration between the two programs. 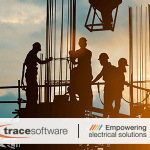 The compatibility with the electrical objects available on the BIM&CO platform is also an important resource for integrating and calculating the products of the manufacturers. 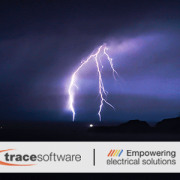 “With the arrival of BIM, we have for the first time in almost thirty years, an exceptional opportunity to make a profound change in the way we conceive our electrical design software.” With elec calc™ BIM, the user has at his disposal a digital model, capable of simulating most of the installation parameters. 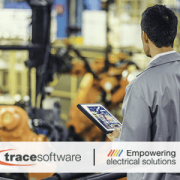 This means saving hundreds of hours of work and obtaining a more rigorous design and an immense economic advantage “, says Etienne Mullie, Trace Software International R&D Manager. The future of solar power looks increasingly bright. The archelios™ suite is the cutting-edge photovoltaic software solution to manage the entirety of a photovoltaic project. It is the unique tool in the market which allows the solar professionals to increase the performance of the project with the utmost precision. 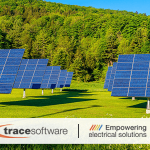 From the feasibility study, bankability, 3D design, to the compliance and calculation notes, right up to the operation and maintenance management, archelios™ suite sharpen your competitive position in the booming market of photovoltaics. The President of ExpoCAMACOL, Sandra Forero Ramírez, affirms that last year the Colombian construction industry experienced a slow recovery. She is also optimistic about the future: “We hope to start the year with the construction of 150,000 housing units, which means an approximate increase of 4.6%“. 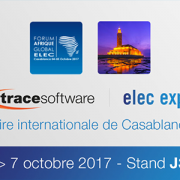 Trace Software experts will be happy to welcome you to the booth 4 PS of the ExpoCamacol during the four days of the event. Alternatively, it is possible to request a free trial of the software solutions.